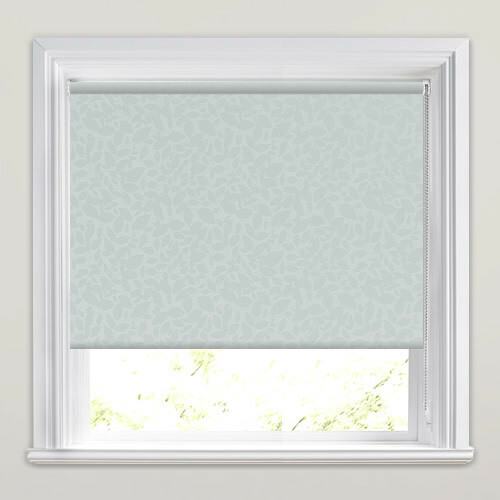 Bring pastel tones and a soft botanical beauty to your kitchen or bathroom windows with these pale mint green leaf patterned waterproof roller blinds. 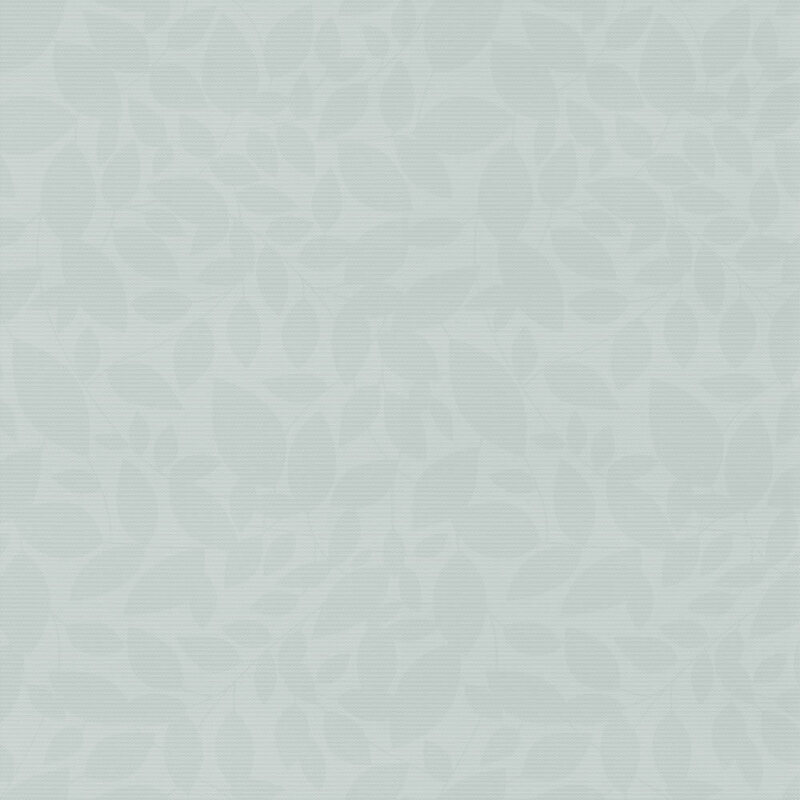 The small leafy design has a shimmering pearlescent finish that gives them a real depth and truly luxurious look. 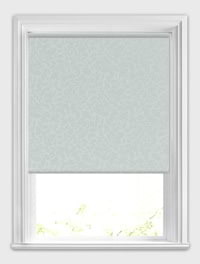 They’re also easy wipe clean PVC and blackout, so extremely functional too. 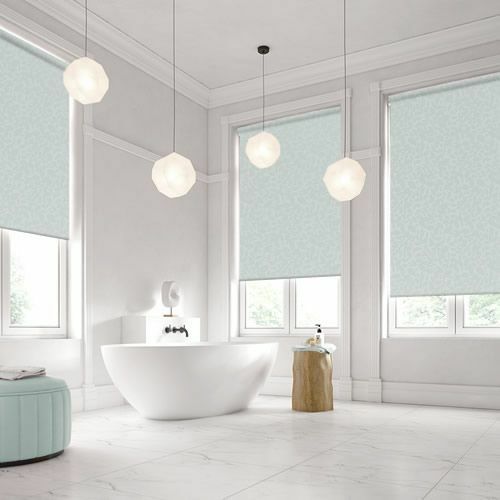 The roller blind is of a very good quality. The cords are sturdy and I am confident that they will last well, even with constant use. The colour is exactly as shown on the website. I experienced an excellent service and prompt delivery. I would definitely use this company again. Second time I have used this company and fitted the full house out. Great customer support and will recommend to others.